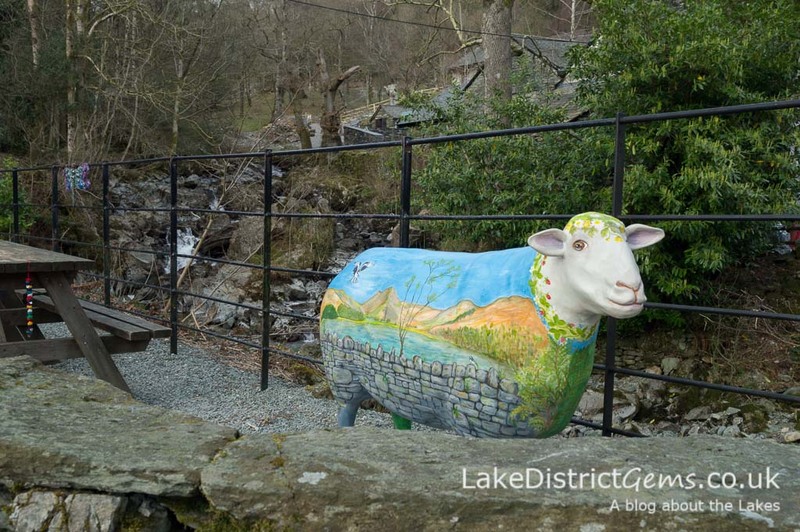 Anyone spending time in the Lake District over the past few days may have noticed some peculiar goings on, with some very brightly coloured sheep appearing in the most unexpected places, from driveways to B&B gardens. The reason? 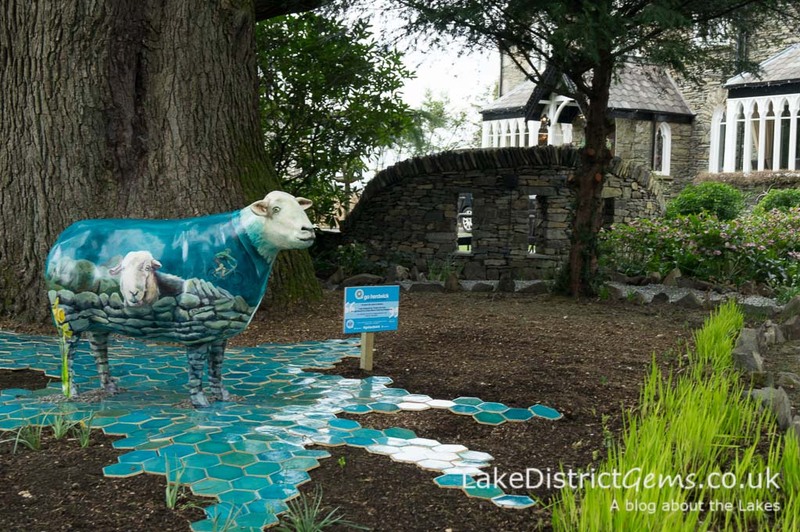 It’s the start of the Go Herdwick public art trail to raise money for the Lake District Calvert Trust. 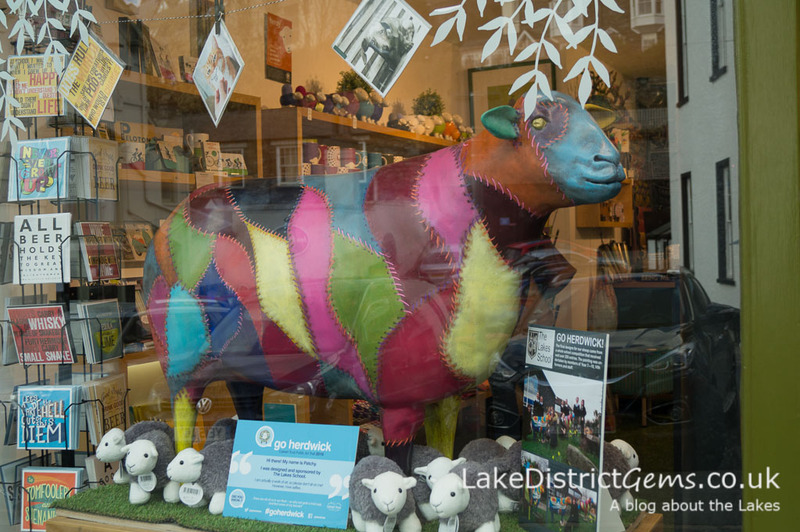 Officially starting yesterday, 25 March, 60 colourful and decorated life-sized Herdwick ewes have been put on display by a number of Lake District businesses and accommodation providers in Windermere, Ambleside, Rydal, Grasmere and Keswick. To follow the trail, you need to get hold of a trail map from one of the participating businesses, at a cost of £2, and when you’re out and about, you’ll be able to see how many you can spot. 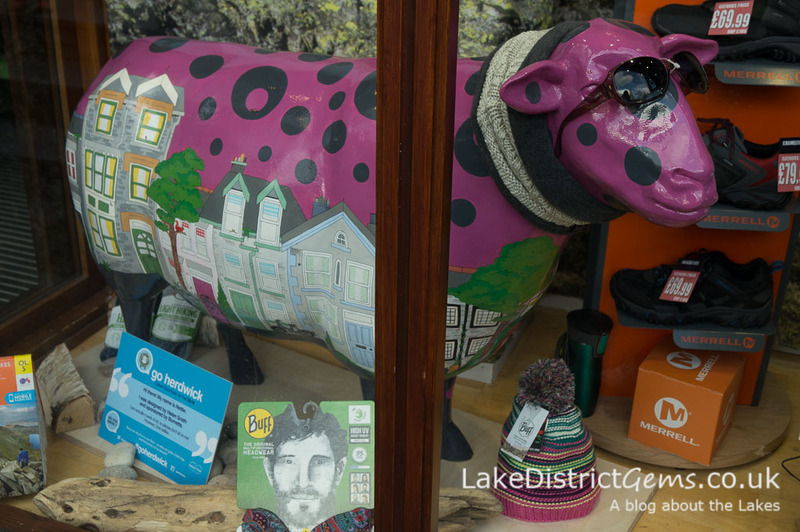 The ewes have been lovingly decorated by designers and artists, with every design, colour scheme and pattern imaginable. The question is, which will be your favourite? Yesterday I went to photograph one of the ewes on display where I live, bought a trail map, and was absolutely hooked! Here are just some of the sheep I came across on my travels! And don’t forget that the designs are often different on each side! 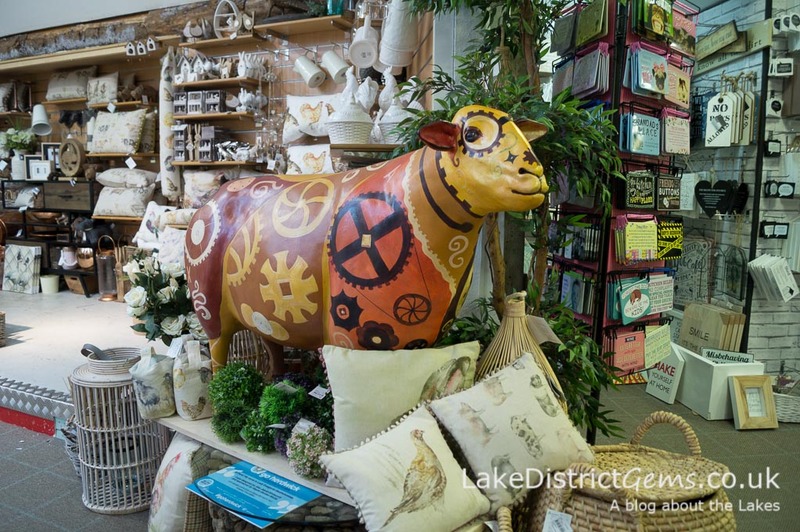 Ms Todd on the cafe balcony at Hayes Garden World, Ambleside (by Frankie Cranfield) – I hope someone gives her a cup of tea! 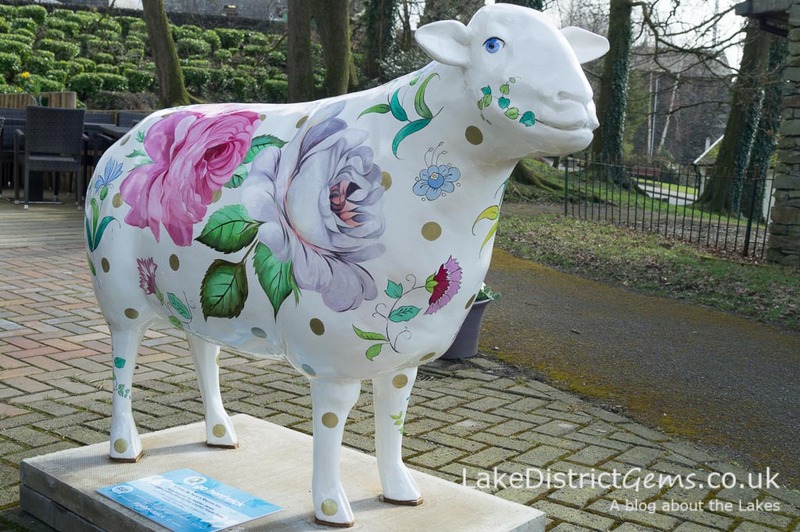 And last but not least from me… a close up of another of my favourite sheep so far, Wanda! This design, by Marty Strutt, is amazing, and just look at those little boots! 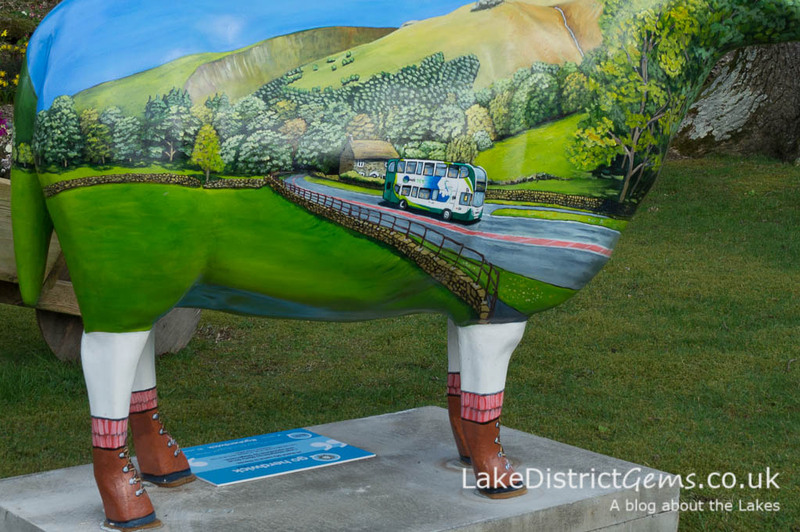 She’s on display on the roadside at the Low Wood Bay Hotel (see also main picture above). Now it’s time to go and spot your own favourites…! 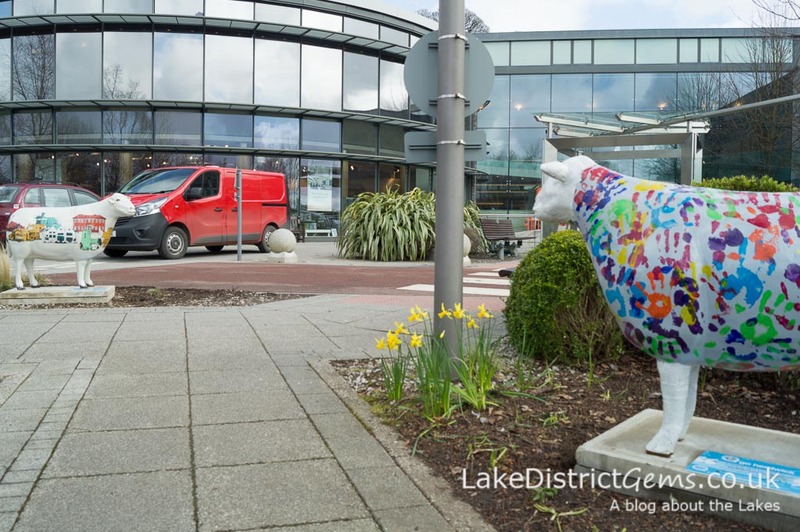 The trail goes on until 4 September 2016, after which the ewes will be gathered together for public viewing at The Rheged Centre near Penrith (22-29 September). They’ll then be ‘taken to market’ and auctioned off at a Grand Gala Auction and Dinner at the Low Wood Bay Hotel near Windermere. 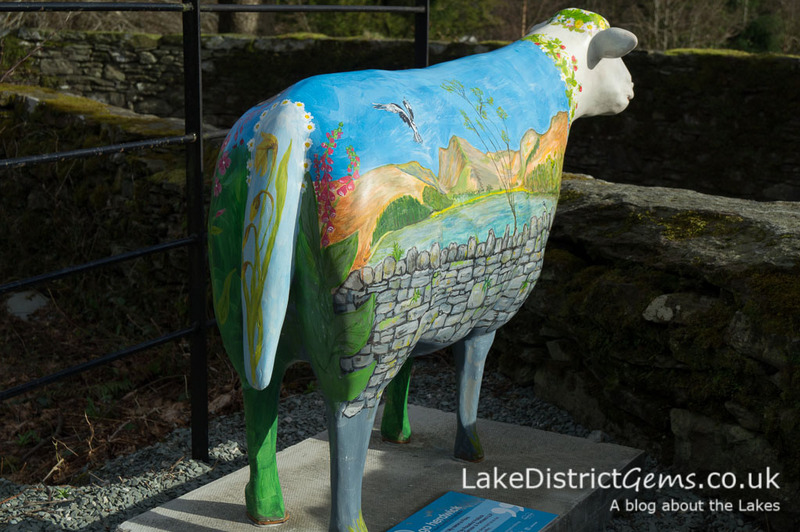 Between 27 May and 4 September, there’ll also be two mini ‘hide and seek lamb trails’ for little Herdwick hunters to enjoy in Windermere and Bowness, and Keswick. 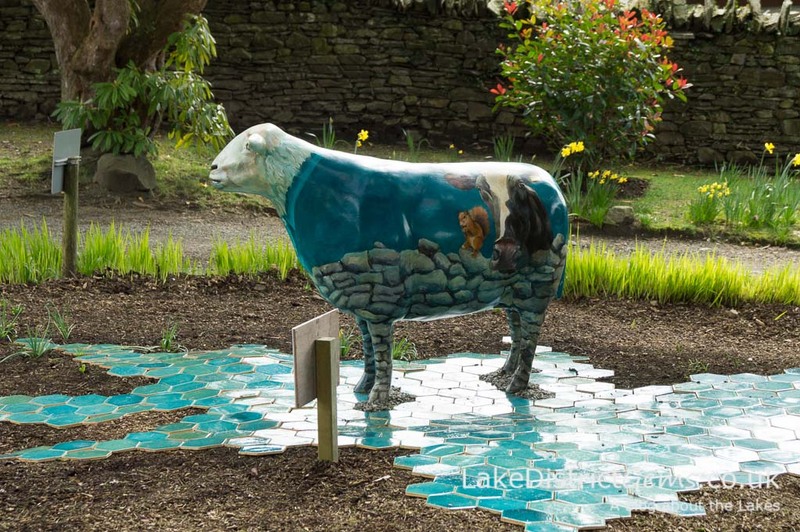 For these smaller family-friendly trails there’ll be 50 lambs in total, each again decorated by a local artist, and you’ll be able to buy a lamb passport and collect stamps on finding each one! 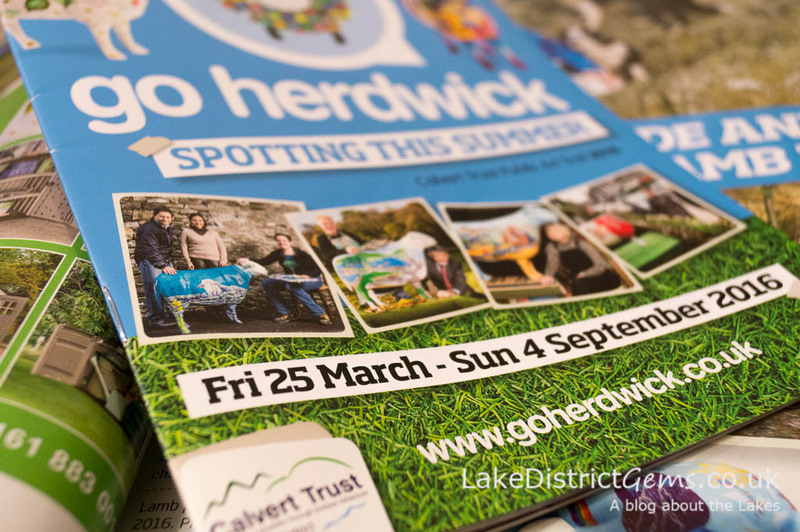 All funds raised by the Go Herdwick trail will help the Calvert Trust – which provides outdoor activities for those with disabilities – to develop a new rehabilitation centre in Keswick. It’s good fun for a good cause, so if you’re in the Lake District this spring or summer, why not purchase a trail guide and join in!? 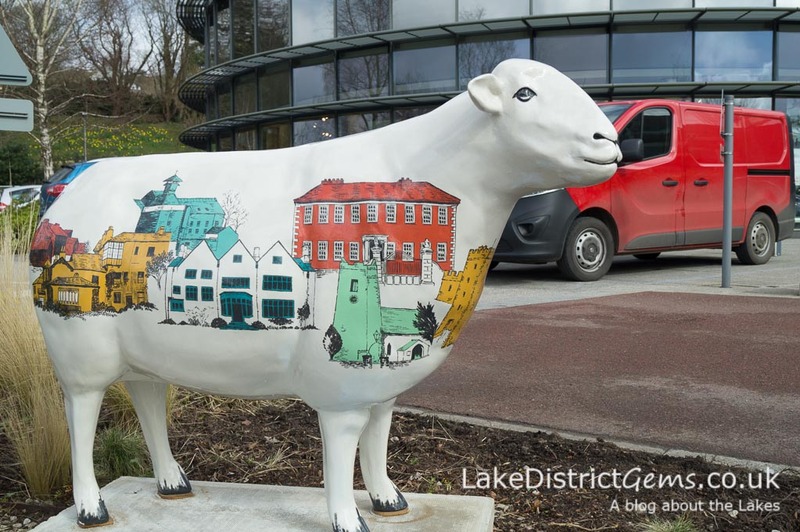 Which is your favourite ewe on the trail so far? 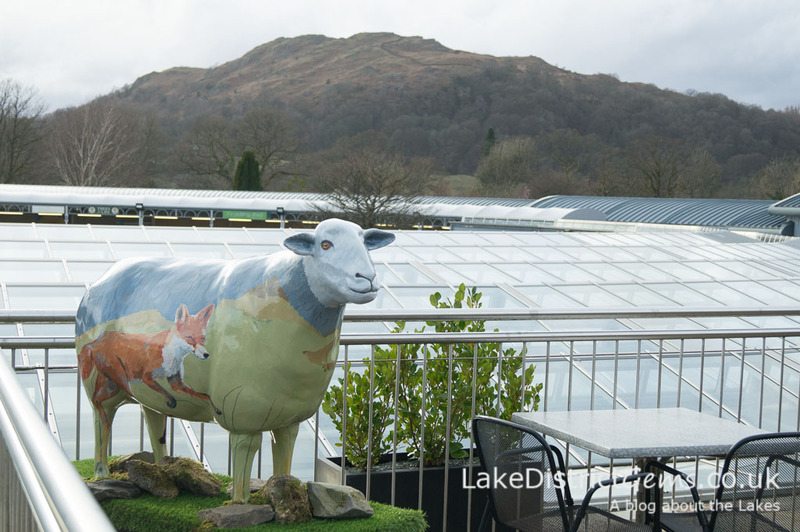 Let us know by leaving a comment below, or sharing your photos on social media (if you’d like me to retweet on Twitter, don’t forget to include @lakesgems in your tweet). I’ve seen some great pictures of the ewes on social media – is anyone planning to photograph them all? !